Companion planting has long been used by gardeners, who pair specific plants for their mutual benefit. Sometimes it’s about confusing or discouraging pests, other times it’s about attracting beneficial insects to deal with the pests. Here are some companion plantings to try in your edible garden. Marigolds aren’t just ornamental, they also chase away destructive root-knot nematodes, microscopic worms in the soil that attack the roots of tomato plants. While you’re at it, add in some basil to this companion planting. It is well behaved and thought to improve the flavor of tomatoes. It can also be harvested simultaneously for salads. These two vegetables work well together in a companion planting because they’re on different schedules. Radishes are the hare, going from start to finish in just 25 to 30 days. Carrots are the tortoise, taking 60 to 80 days to mature. Sow the seeds of both of these vegetables together. When you harvest the radishes, it opens up space for the later-maturing carrots. This is another pairing that works efficiently because the plants are on different schedules. The cool-season lettuce peters out around the time the basil is ready to soak up the heat of summer. These two make a good combination because the beans can climb the cornstalks for support without impeding its growth. Beans also fix their own nitrogen from the atmosphere,meaning they can create their own nitrogen (with the help of soil bacteria) rather than needing nutrients from the soil. The extra nitrogen improves the soil for surrounding plants, in this case nitrogen-hungry corn. Native Americans added a third plant—a sprawling squash vine that shaded out weeds beneath the corn and beans—and called the trio The Three Sisters. The shorter garlic fills in nicely around the bare stems of rosebushes. More important to the success of this companion planting, garlic is said to chase away aphids, spider mites and most importantly, Japanese beetles. Just like marigolds, colorful nasturtiums can bring an ornamental flourish to the garden while doing the heavy lifting on pest control. In this case, nasturtium’s job is to guard against aphids and squash bugs. Bonus: Edible nasturtium flowers can be added as a salad topper. This is another good pairing for a companion planting because the onions repel carrot flies and aphids. Leeks, rosemary and sage are also reputed to turn away carrot flies. Both carrots and onions grow better in a raised bed full of rich, well-drained soil. Intersperse chrysanthemums among bean plants to deter Mexican bean beetles. At the end of the season, when the beans are done, you’ll have something ornamental to look at. Summer annuals such as cosmos and marigold are also said to be helpful at controlling Mexican bean beetles. These are the 10 worst garden insect pests and how to get rid of them. When used to rim the outskirts of the garden, tall zinnias block the view of the vegetables, creating a prettier view for people. They also serve as a barrier to deer, who don’t see the vegetables or don’t want to move through the zinnias to get to them. Jerusalem artichoke, cleome and other tall plants can also serve this purpose. Previous Mason Jar Easter Crafts! Those are some great ideas for companion planting. I usually run out of steam by the time I get my vegetable planted to add flowers. I’ll have to do better this year! I am so positive you will Robin….or should I say supergirl! I think we are born that way! I’m trying the three sisters method for the first year. I’m growing bloody butcher’s corn, sweet corn, beans, and zucchini. I love sweet corn, beans and zucchini! Did you already start these? Yeah, I’ve started the corn. I’m waiting for the corn to grow then I’m going to sow the beans right next to the corn. Then after the beans start to grow I plan to sow the zucchini next. I’m also growing over 40 varieties of peppers. The heat ranges from sweet to extremely hot. Wow! That’s a lot of peppers. Wow! Roses and garlic?! This must be Dracula’s garden! No pretty lady, the Garlic keeps those unwanted pests away from the roses! It really works. I planted the chives and garlic around my roses. Shows you how much I know about gardening – zilch! What is it called? I couldn’t find it! It is done with fruit trees and grapevines too. Roses are often grown at the ends of rows in vineyards to provide habitat for beneficial insects. Italian cypress attract martens, which chase off birds that would otherwise eat the grapes. Mulberry trees on the outskirts of apricot and prune orchards fed and distracted birds that would otherwise eat the apricots and prunes. Thank you so much for the wonderful info Tony! You are welcome, I do not mean to get carried away or be redundant to what you already said. Hey Tony, no worries! I enjoy all the info. So interesting. I was born in the LA area. It sounds like you have a plan jan! Have fun with it, you will love the outcome. If you even have a little space, you can grow garlic. Just bury one of the cloves, with the skin peeled out, down about an inch, just enough to cover with soil. Grows in no time! Easy. 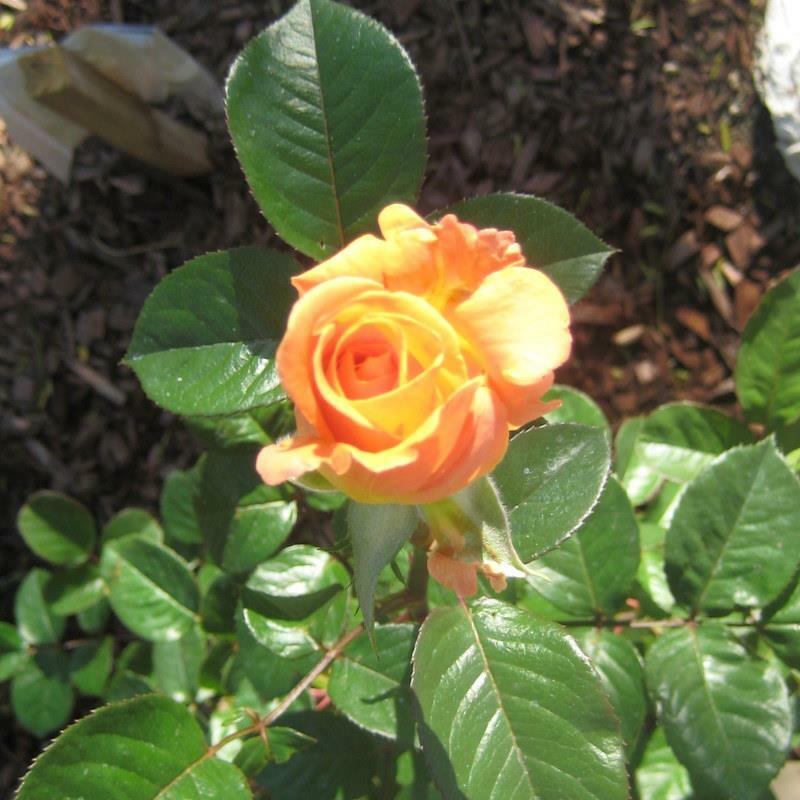 Great to plant around your roses, etc to keep pests away. Awesome..enough space for raised beds! Great! Let me know what your planting…I would love to see the outcome! Happy Planting! Hi Kelly, I’m new to your blog, and think I’m going to enjoy following along. We’ve just added four raised vege beds to our back yard so this was an interesting post. Winters on its way now, but come next summer I think I’ll be trying out the three sisters planting. It sounds like a great combination. That sounds awesome Chris. How long have you been growing in the raised veg beds? We only erected the beds about a month ago. We’ve almost filled them now with a mix of seeds and seedlings which are all coming along well. We’ve been eating silverbeet and lettuce now for about two weeks. They were planted as seedlings. We have a fourth raised bed too, but that one’s waiting for asparagus crowns to arrive in the nursery. That’ll be around mid winter I think. Chris, it all sounds so delicious! You are going to love veg gardening. Everything taste better homegrown! I used to do a bit when my kids were young, , but was always to busy with the commitment of kids to give the garden consistent care. I love my garden.